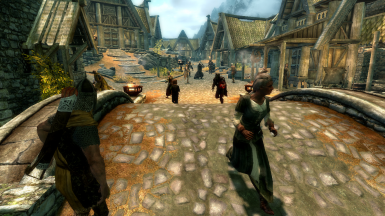 Mod aimed to Protect NPCs from unwanted death through Reference Aliases instead of editing Actor records ensuring maximum compatibility with mods that edit the same NPCs, such as appearance overhaul mods. 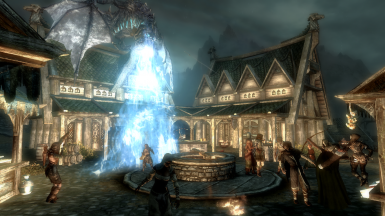 Updated the plugins to SSE format (43 to 44) because I've been notified that using mods with the original Skyrim format may cause issues long-term. Removes major Dawnguard and Volkihar clan members' Protected reference aliases so that they may be properly killed during Destroying the Dawnguard and Kindred Judgement (Dawnguard side), respectively. Also, removes Sergius Turrianus' and Ennodius Papius' redundant Protected aliases. 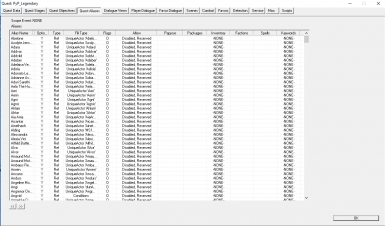 Created a merge of the main file and the CRF plugin because there was almost no reason for there NOT to be one, considering CRF requires all of the DLCs (plus USSEP) anyway. -Release of the Cutting Room Floor optional plugin. -Removed Argi Farseer, Captain Metilius, Grushnag, Karinda, Mithorpa Nasyal, Steirod, Sulvar the Steady, Talib, Tasius Tragus, Trilf and Uglarz from the main file because they were readded to the Cutting Room Floor plugin instead. Initial release of Protect Your People SE. 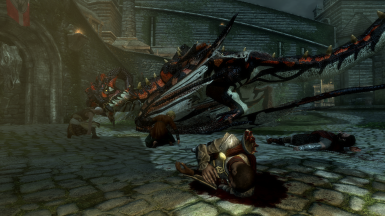 Hate it when NPCs die from pesky dragon/vampire attacks? 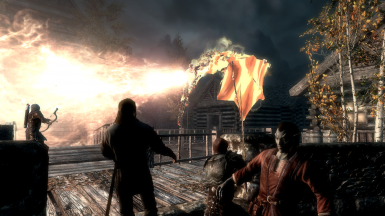 Use OBIS and can't stand overpowered bandits from murdering everyone in that unwalled town? Well boy have I got a mod for you. 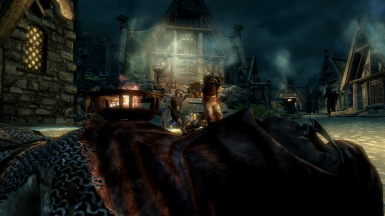 This mod saves your friendly neighbors from untimely deaths. Technically, it flags certain NPCs Protected. But wait! Aren't there already mods that do just that? Well, yeah but I don't like the way they implement the Protected flag so I'll explain it as thoroughly as possible. 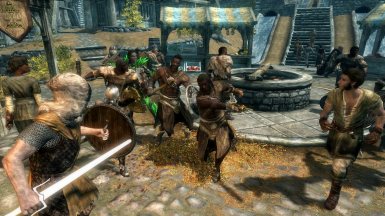 Past NPC protection mods got the job done. They worked as they were supposed to. NPCs would not easily die because they were flagged Protected, meaning they can only die from a hit by the Player. So what's the big deal? 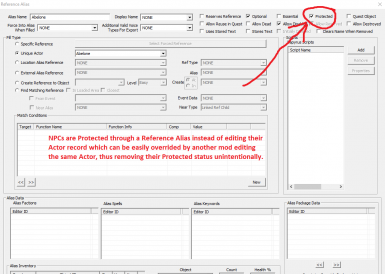 Past mods protected NPCs by editing NPCs' Actor records and checking their Protected flags on. 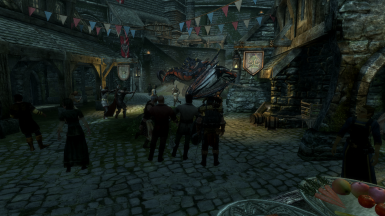 By all means, this works but what happens when you install another mod that edits those same NPCs' Actor records? Their Protected flags get overridden because the new mod you installed didn't enable the Protected flag for them. But isn't it just a matter of using SSEEdit and forwarding the Protected flag onto them? Yes, that problem is easily solved but what about the NPCs that become non-Essential after certain quests end? Check their Protected flag on? That can't happen if they're already set Essential in their Actor record in the first place. Let's use Elisif's thane, Bryling, as an example. 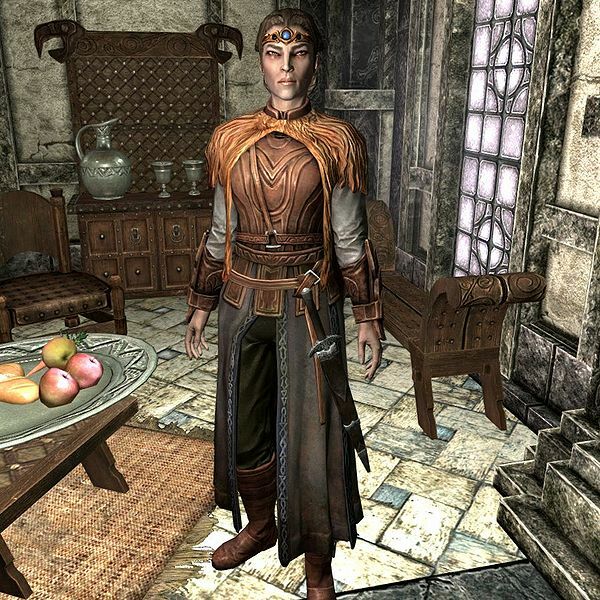 She wears a unique set of clothing that is worn commonly by Jarls. Fortunately, Bryling can actually die after Bound Until Death (as well as Erikur ;)), then you can strip her unique clothing off her dead body. But what if you were an honorable assassin who only killed who you were contracted to and happened to have superb thieving abilities at the same time? You can use the Perfect Touch perk to undress Bryling without her noticing and take her unique clothing that way. But wait! She's no longer Protected is she? She is now susceptible to untimely death by dragon/vampire/bandit attacks. See the problem here? She can't be flagged Protected in her Actor record because she's already set Essential. NPCs' Actor records can't have both their Essential and Protected flags on at the same time. 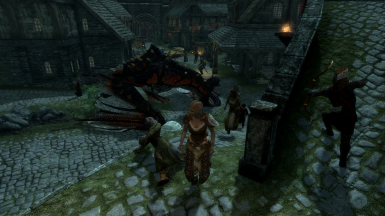 Past NPC Protection mods fail to protect certain NPCs that become non-Essential after certain quests end. Here's where my mod does things differently. This isn't a new discovery that people never knew about but I don't understand why anyone hasn't utilized this. I mean it's right there (in the CK I mean). What I'm talking about is Reference Aliases. What about Reference Aliases? They have a Protected flag that can be checked. What?! 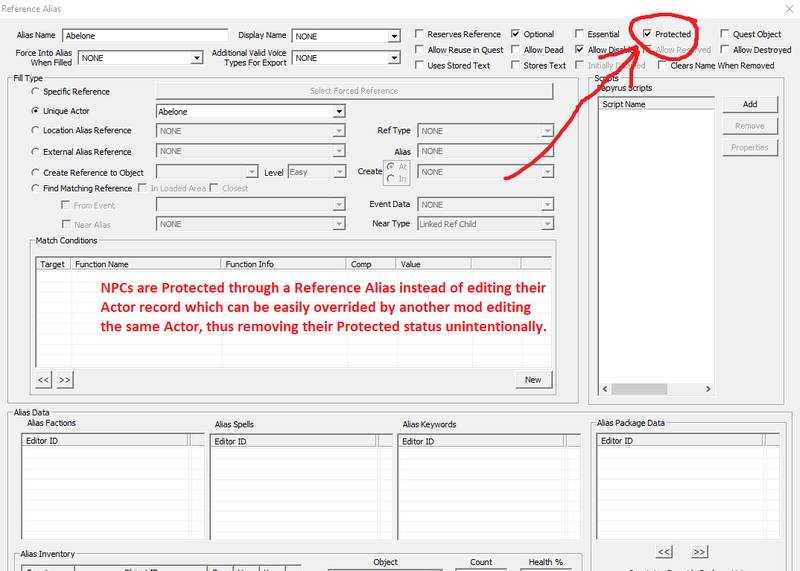 I find this way of protecting NPCs through quest aliases much more efficient than editing a whole slew of Actor records that can easily be overridden by other mods. Having to resolve conflicts in patches all the freakin' time gets really annoying so I'm saving you the time of protecting NPCs yourself by making them Protected through a quest that can't be overridden by anything. 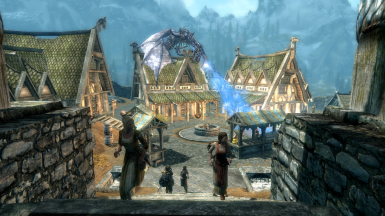 This will make your life easier because you won't have to worry about civilian NPCs dying anymore because you didn't know a mod you installed edited Actor records' Protected flags off. I know, for sure, a lot of people use NPC appearance overhaul mods because they think Skyrim NPCs look ugly but, guess what? 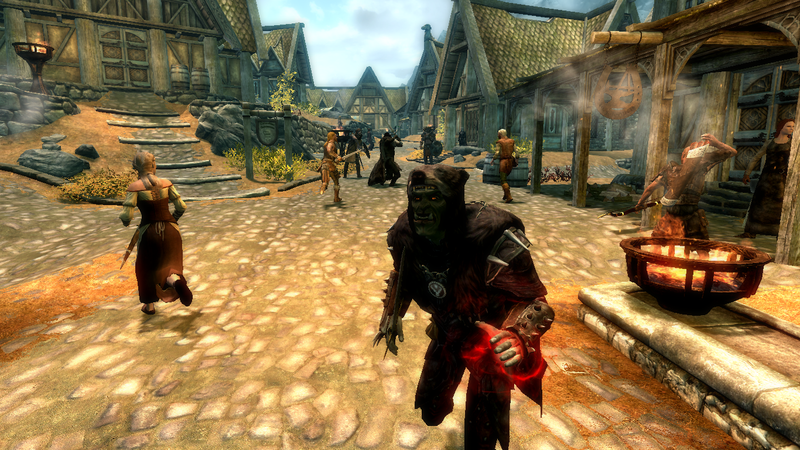 Loading that mod after an NPC protection mod makes those NPCs unprotected again. 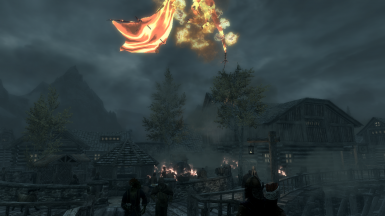 Sure you can resolve it by making a patch but you can save time by using this mod and ensuring that your NPCs never get killed because my Protected flags can't be overridden! 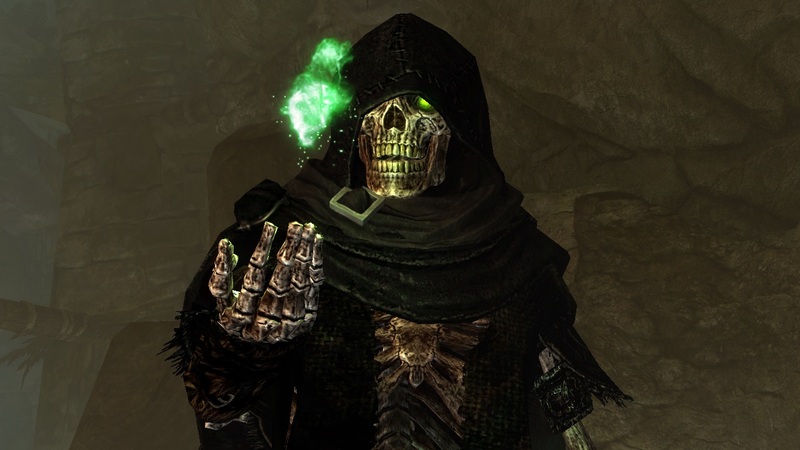 NPCs that aren't very important or you only meet once - Giana, Gissur, Rulindil, all the hunters from Ill Met By Moonlight, the 3 DB captives in the Abondoned Shack, Shavari, Tsavani, Kematu's Alik'r, etc. I used NPCs Protected Redux as a base and started from there. 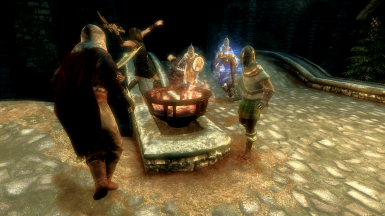 I found NPCs that I didn't agree with protecting or inhibited you from killing them in other ways. Arondil - A trick to kill him is to turn his ghosts against him by stealing the Soul Gem on the pedestal near him but they won't be able to kill him if he's Protected sooooo... no. 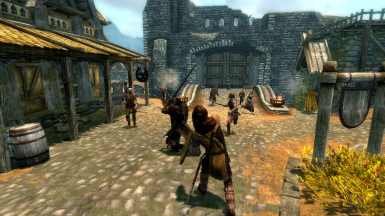 Why do I bother protecting Essential NPCs? Because there are mods that set Essential NPCs non-Essential without Protecting them as well. 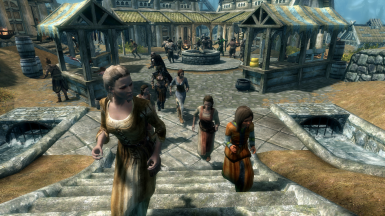 In total, my mod protects around 800 NPCs. 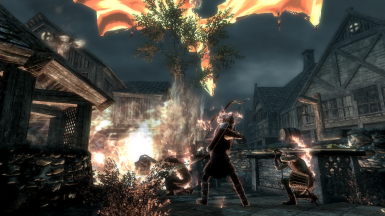 Just Dawnguard, Hearthfire and Dragonborn. A new game start is not required. 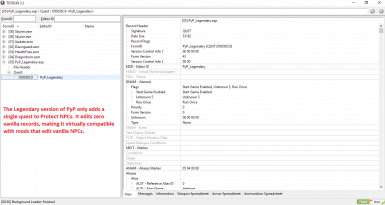 Use a mod manager or install directly to data folder. 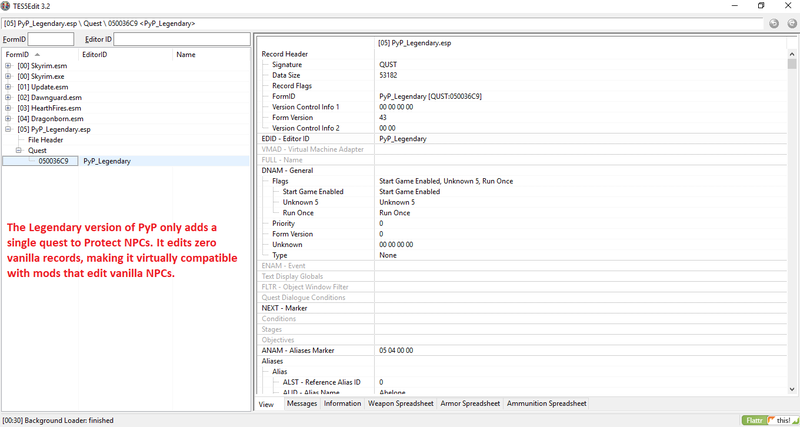 Use console command "stopquest pyp_legendary". Save and exit game. Delete PyP_Legendary.esp and PyP_Legendary.seq. Replace 'legendary' with 'cuttingroomfloor' for the CRF plugin. Completely compatible with almost anything because of the way my mod is set up. 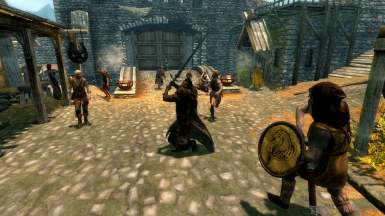 Just a single quest protecting individual NPCs instead of editing Actor records so there will be no conflicts with other mods that edit the same NPCs. 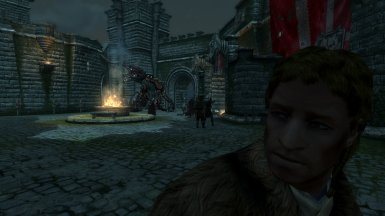 I chose not to make quest NPCs Protected after their quests end directly through the aforementioned quests themselves because I don't like making huge edits to important things like quests, plus it would be harder to uninstall if you didn't like this mod. Why? Please ask me first for whatever reason. -NPCs for dropping like flies. -Arthmoor for Cutting Room Floor. -blattgeist for NPCs Protected Redux. Jarek is only for Original Skyrim (for now).